EXPERIENCE EVENT #3 – START LINE CONFIRMED – IRWINDALE SPEEDWAY – WE ARE GOING LARGE!!! Targa Trophy is pleased to announce the start line for Experience Event #3 LA to Las Vegas – Euro vs. JDM Festival at the one and only Irwindale Speedway. After two amazing start locations at HRE Wheels for Event #1 and Oakley Factory HQ for Event #3, Targa Trophy has teamed up with Formula Drift to arrange the exclusive start line at Irwindale Speedway. 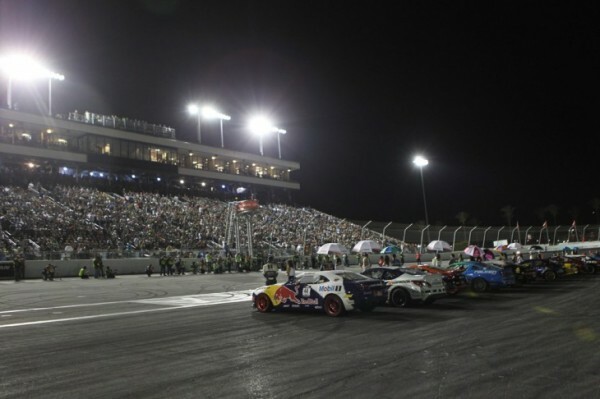 Irwindale Speedway is also the venue for the season finale of Formula Drift coming up on October 12-13. Targa Trophy teams and spectators get to have exclusive access to the whole facility prior to Formula Drift’s big build up to their finale event. This is by far the biggest arena yet for a Targa Trophy event and will set the stage for this amazing event to Las Vegas ending at Formula Drift Round 6 Las Vegas, under the lights. Stay tuned for more info regarding times and spectator details, otherwise, the arena is set for the start of Targa Trophy Experience Event #3. Vehicles – Targa Trophy is open to all makes of exotic and specialty sports cars including Ferrari, Lamborghini, Porsche, Spyker, Mercedes AMG, BMW M, Aston Martin, Bentley, Rolls Royce, Audi, Lotus, Viper, Corvette, select European & Japanese imports, classic exotics, muscle cars and unique one-off sports cars.